Edward the Elf has been causing trouble at our house since his arrival on the 01st December and has been found several times with his hands in treat box trying to steal Harry’s treasured Milky Ways. 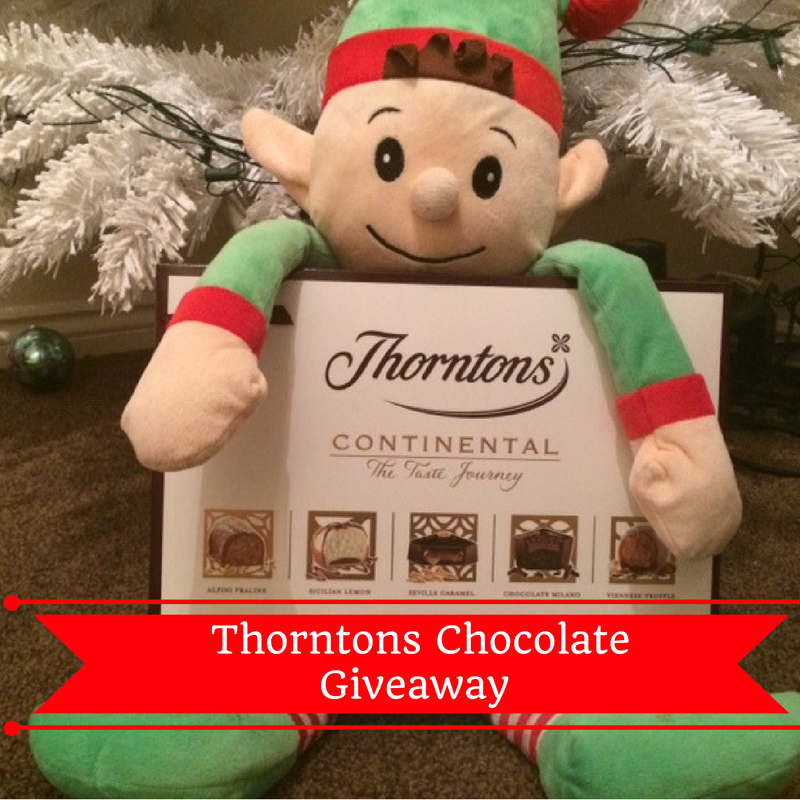 To make up for his Bad Elf ways Edward has this morning returned from his nightly visit to the North Pole with a box of Thorntons Continental Chocolates. Now in the spirit of Christmas and because I have eaten far too much chocolate already I am going to run a giveaway so one of my lovely readers can enjoy Edward’s kind gift. 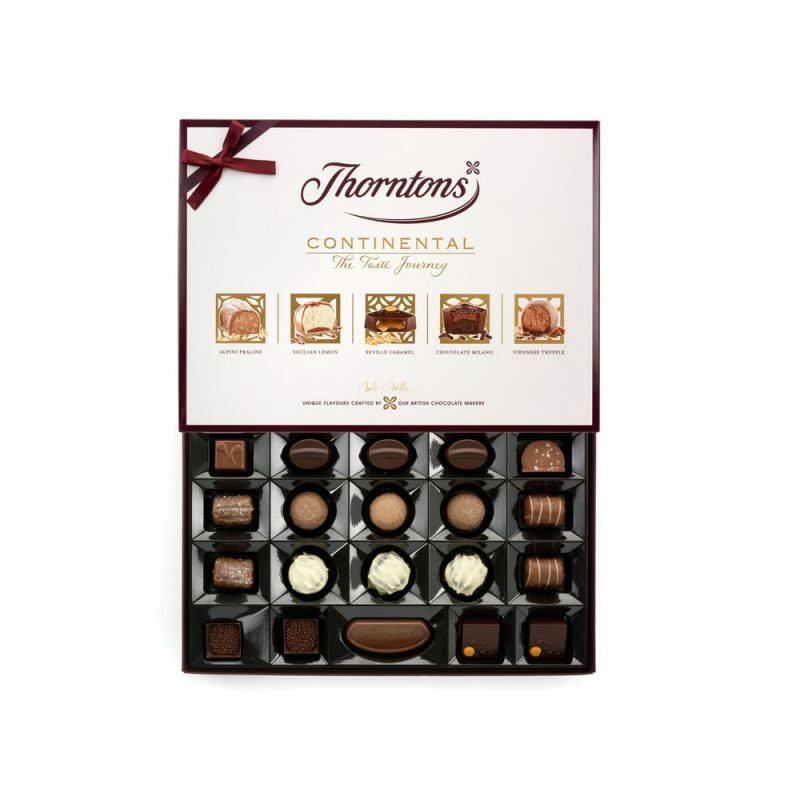 The winner will enjoy 20 beautifully crafted continental chocolates with scrumptious flavours like Salted Caramel Praline & Sugar Coated Viennese Truffles.Perfect for devouring in front of the TV or as a backup gift for the random relative who turns up on your doorstep on Boxing Day (you know it’s going to happen). Entry will be simple, just follow the instructions below. Wish it could be chrismas everyday! The original Band Aid’s Do They Know It’s Christmas? Wizzard – Wish it Could be Christmas Everyday! i saw mommy kissing santa claus 🙂 makes me wanna dance! I like Fairytale of New York. Santa Baby – but only when sung by Eartha Kitt! I believe in Father Christmas by Greg Lake. I get all the feels whenever I hear it! Merry Christmas (war is over) John Lennon and Yoko ono. Fairytale of New York ~ I know all the words! My favourite Christmas song is Last Christmas – Wham! Once upon a Christmas song Geraldine mcqueen. All I Want For Christmas Is You 🙂 Or I Wish It Could Be Christmas Every Day – depends what mood I am in. My favourite Christmas song is Little Saint Nick by The Beach Boys! White Christmas – Bing Crosby. Love all the old musicals. My favourite Christmas song is ‘All I Want For Christmas’ by Mariah Carey. Mine is the Fairytale of New York as I find it funny. Wishing you a very merry Christmas. I believe in Father Christmas – Greg Lake. Kirsty McColl and The Pogues – Fairytale of New York. Mistletoe and Wine….. Dear Mr Elf, please come live with me!